"Knowledge is indispensable to Christian life and service," writes John Stott. "If we do not use the mind which God has given us, we condemn ourselves to spiritual superficiality." While Christians have had a long heritage of rigorous scholarship and careful thinking, some circles still view the intellect with suspicion or even as contradictory to Christian faith. And many non-Christians are quick to label Christians as anti-intellectual and obscurantist. But this need not be so. 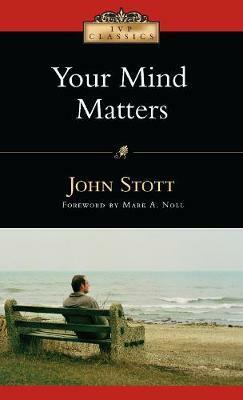 In this classic introduction to Christian thinking, John Stott makes a forceful appeal for Christian discipleship that engages the mind as well as the heart.